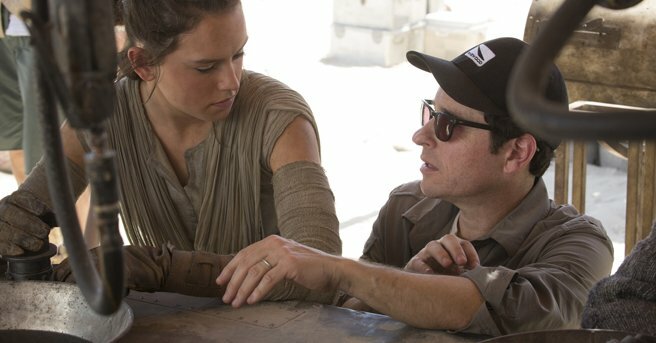 J.J. Abrams Reveals What Brought Him Back To Direct STAR WARS: EPISODE IX! – Show Me The Movies! J.J. Abrams Reveals What Brought Him Back To Direct STAR WARS: EPISODE IX! We’re officially at rancor monster sized levels of giddiness here at SMTM! Towers with STAR WARS: THE LAST JEDI just days away. We have so many unanswered questions that we need answers for NOW! Does Rey turn to the dark side? Is Luke a Grey Jedi? Is Chewbacca’s new co-pilot really a furry Porg? All important stuff we’re sure you’ll agree? However, we’ve gone off topic slightly as we can now bring you some more info on how THE FORCE AWAKENS director J.J. Abrams was persuaded to come back to helm Episode IX! As much as we loved THE FORCE AWAKENS part of us would have perhaps liked to have seen another visionary director take the reigns (Taiki Waititi??) but J.J. knows the universe inside out so we’re sure it will end on a high. What are your thoughts more importantly? Previous Previous post: Sophie Turner Looks Fiery In Brand New Images From X-MEN: DARK PHEONIX! Next Next post: James Cameron’s Long Awaited ALITA: BATTLE ANGEL Has Arrived With A New Trailer!